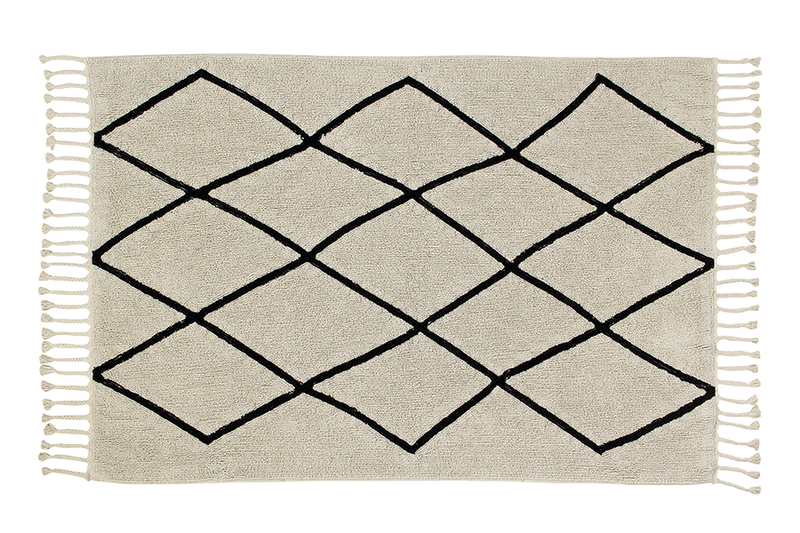 We’re excited to launch the new look Lorene Canals rugs for 2016 in South Africa. Did you know that Lorena Canals, being the leading brand of children’s rugs globally, pioneered the concept of machine washable rugs. The fact that moms can now simply pop their rugs into the washing machine has revolutionised the rugs sector and has been gladly accepted by an increasingly practical and demanding society. Now you can forget about the mess, its not permanent! Black & White features 5 original designs to create trendy environments: classic berber(beige/black), cactus, zig-zag and diamonds. These striking patterns will appeal to those who aren’t afraid to make a bold statement in their home, whether it be in the lounge, study, children’s or teenagers’ rooms. Their basic colours are really easy to match with other accessories. Ombre is a gorgeous range of faded colour gradients which will flow across your floor. The design features a soft blend of matching colours that will bring serenity and tranquility to spaces where you spend most of your leisure time. One of the colour ways incorporates Rose Quartz Pink which has been chosen as the colour of the year 2016. Ombre rugs have a thicker base than other collections which creates a heavier and more luxurious feel. 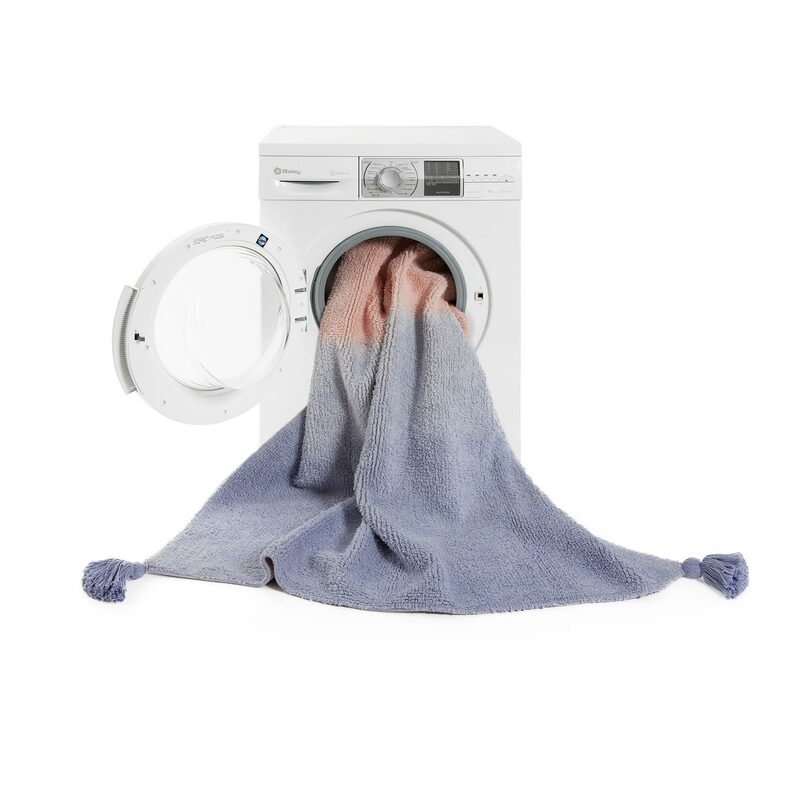 They are washable: there is no problem if they get dirty, because you can wash them at home. They are handmade by a technique called “Looping”. Every rug is elaborated carefully and individually, so each one is unique. No two are alike. They are soft, cozy and bring warmth to any room. They are fresh in summer and warm in winter. Lorena Canals is environmentally responsible. Non-toxic dyes and 100% natural raw materials are used as it undergoes extensive quality controls. ISO 9001, ISO 14001, ISO 18001 and AITEX certificates obtained. By purchasing their rugs you are helping disadvantaged kids to go to school.With the profits from sales, Lorena Canals finances the education of over 100 children in northern India, giving them the opportunity to decide their future. Discover the Sakūla Project by Lorena Canals.